Edging the turquoise waters and shores of the Pacific, Grand Velas features magnificent wedding venues, including grand ballrooms, sky-lit terraces, a tropical garden with ocean vistas and a gorgeous beachfront with a gazebo facing the sparkling waters of the bay. From the moment we arrived we felt like royalty. An amazing destination. 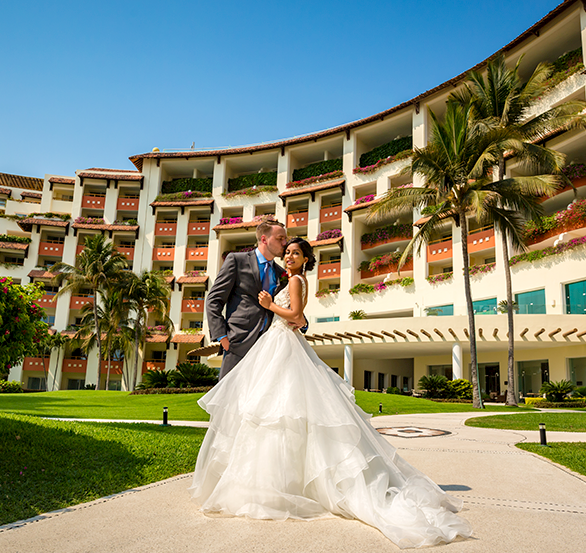 Celebrate on a sun-kissed beach, lush gardens and romantic terraces or exchange vows in our elegant ballrooms. Our staff will make your moment the dream day you've always envisioned. 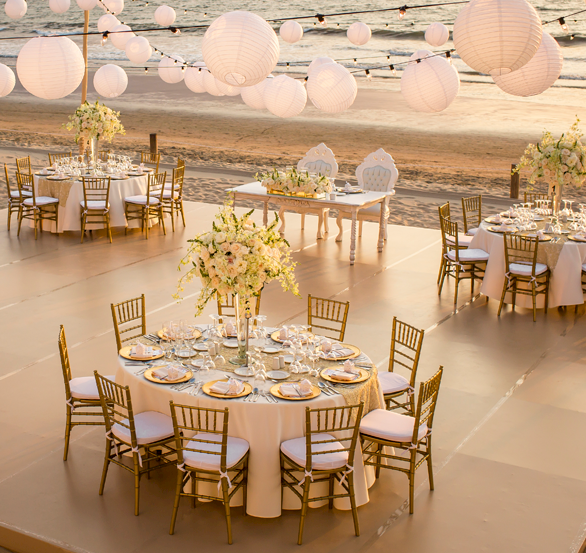 Enchanting views of the ocean, golden sunsets, exotic moonlit landscapes and the sound of the waves create an inspired backdrop when you host your banquet at Grand Velas Riviera Nayarit. 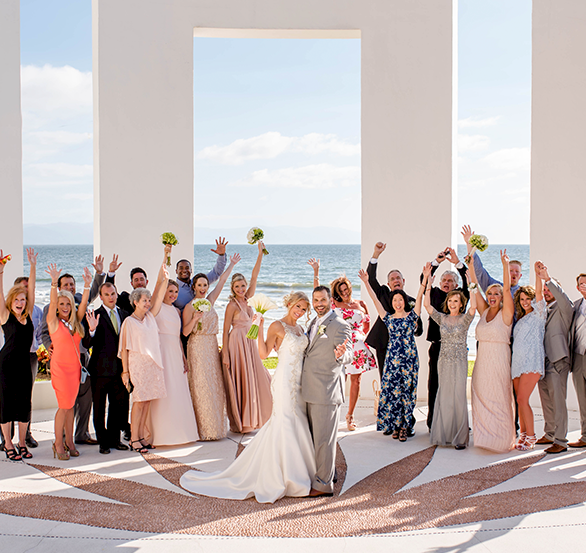 To start planning your all inclusive wedding in Puerto Vallarta, please fill out this Wedding Request for Proposal and one of our wedding specialists will contact you soon.